The SUV craze is in full swing and it is almost hard to remember when cars were once the dominant body style. But consumers are voting with their wallets and utility vehicles as well as those that manufacturer them — they are the winners. 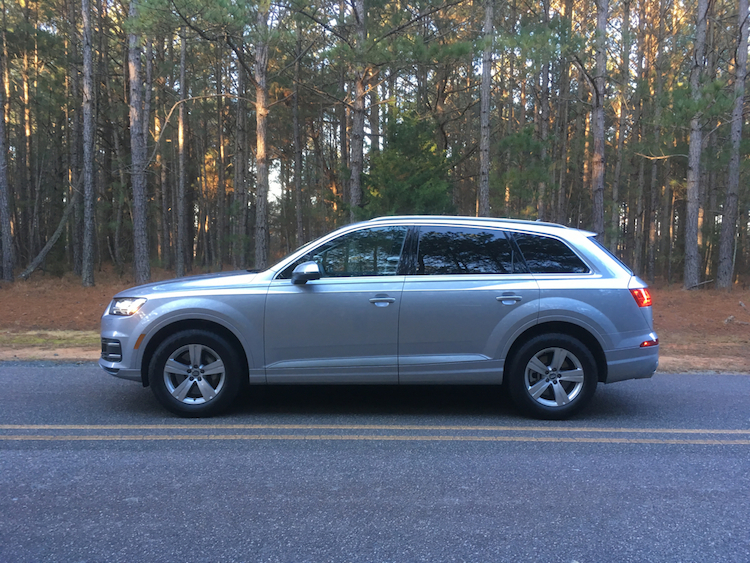 Audi has built SUVs since 2005 when the Q7 went on sale. Since then, the German luxury marque has added several more model lines, including performance variants and the brand’s first all-electric model. 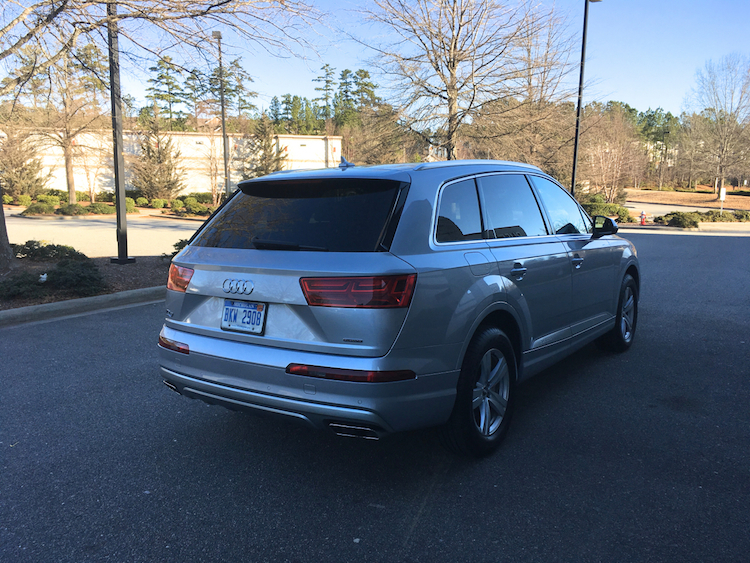 The first-generation Q7 spans the 2006 to 2015 model years, while the current model arrived in 2017. There was no 2016 model. 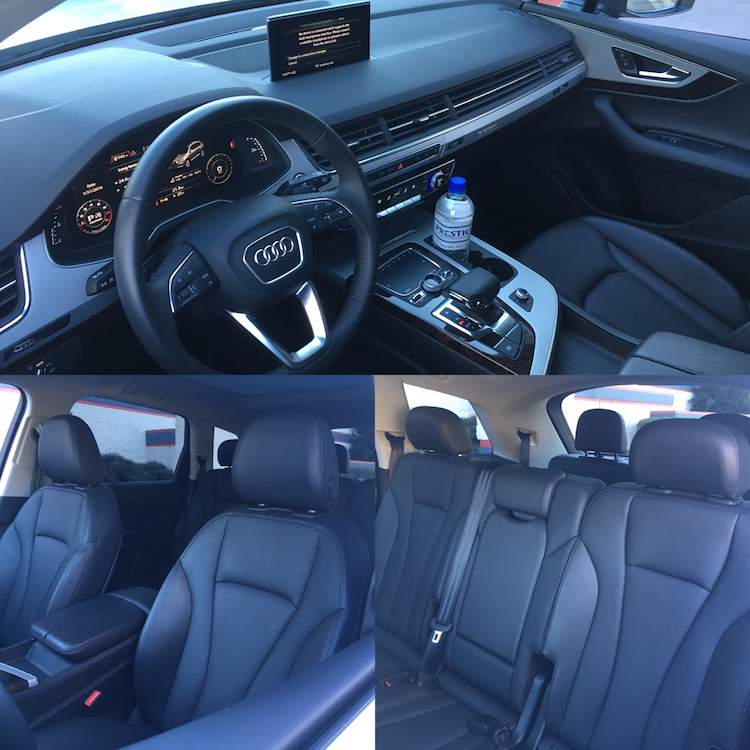 Audi offers the 2019 Q7 in Premium ($53,550), Premium Plus ($56,900), and Prestige ($68,700) trims. Add $995 for the destination charge. All models come with a turbocharged four-cylinder engine and all-wheel drive. Upgrade to the supercharged V6 and add $6,400 to your cost. You’ll also find multiple package options across the Q7 range. For 2019, integrated navigation is standard across the model line. The available Convenience Package adds blind-spot monitoring and rear cross-traffic alert. The middle-tier Premium Plus model gains standard LED headlights, wireless charging and Audi’s nifty Virtual Cockpit. 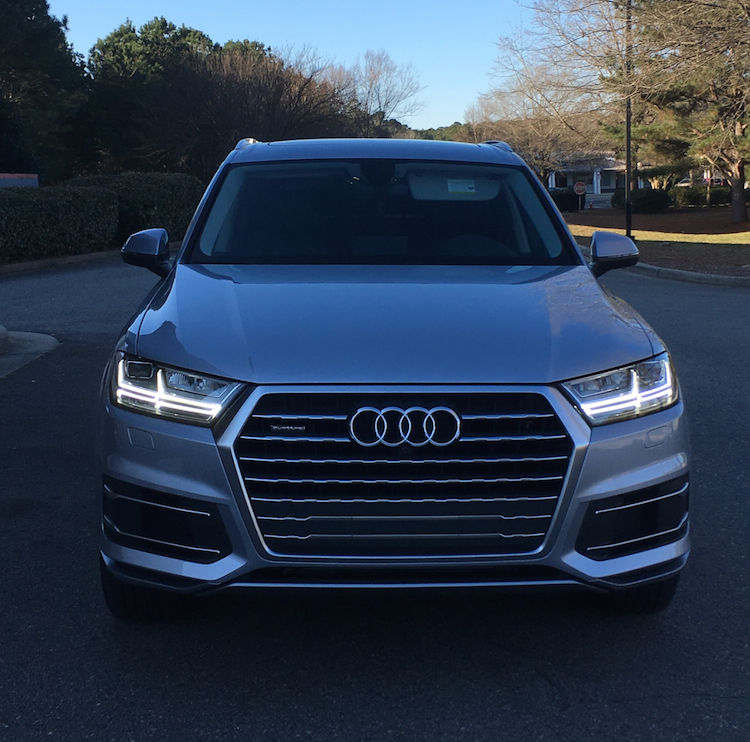 The Audi Q7 has always served as the design benchmark for the brand’s widening portfolio of utility vehicles. Its bold grille and sleek lighting elements offer a nice contrast to the profile with its pretty sheet metal, subdued curves and gently falling roofline. Even the rear view doesn’t do much to stand out like the front. Wraparound tail lamps with LED accent lights, rear fog lights, and dual exhaust ports are noteworthy elements. Inside, the cabin is large, but not huge by any stretch. The first two rows supply ample room for five adults. The last row is best used by youngsters. 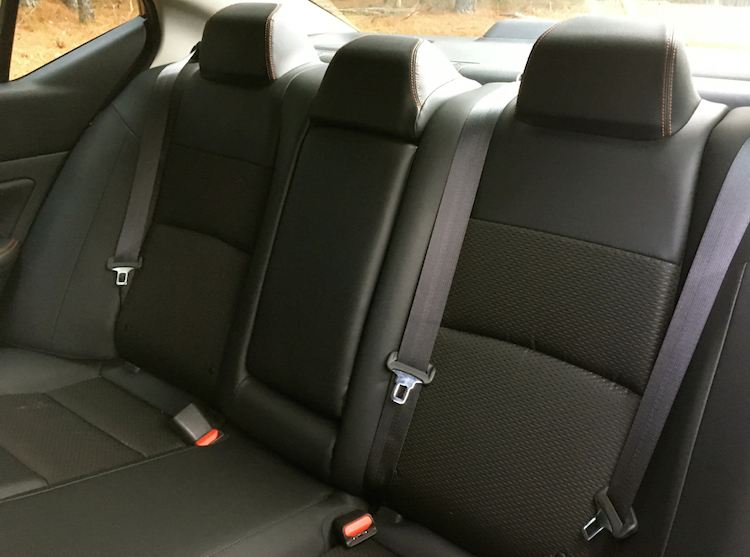 We found the VW Atlas offers better access and more room in the third row than the Q7, but these vehicles are not the same. Audi never disappoints in the fit and finish as well as the quality of materials used to outfit its cabins. The driving position is adjustable, comfortable and offers excellent sight lines. Knobs and switches are clearly laid out and the feel is upscale. Fine leathers dress the cabin with beautiful inlays completing the look. As for cargo space, this is the Q7’s most significant weakness. The standard space is quite small and is only large enough to house a few packages side by side. Even with the seats folded, competing models simply offer more room. Generally, the Audi Q7 meets stringent crashworthiness standards. The only demerit identified by the Insurance Institute of Highway Safety (IIHS) is the standard headlights. That’s not unusual as the IIHS continues to raise the bar in all things lighting. In any case, when you move beyond the base model with its Xenon headlights, you’ll find full LED headlights. Beyond a suite of airbags and the usual stability and traction control technologies, you’ll find a rearview camera with the standard Q7. To get such features a side assist and rear cross-traffic assist, you’ll upgrade to the Convenience Package on the base model. 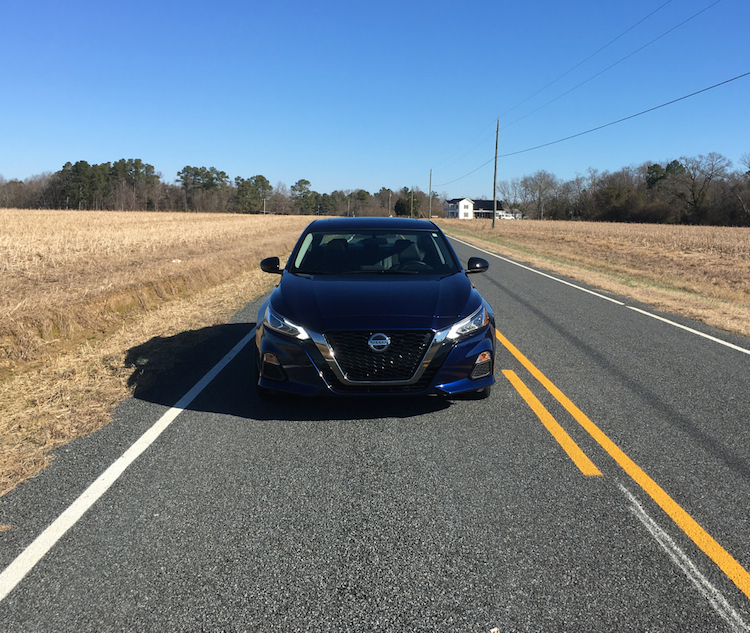 A Driver Assist Package becomes available on the middle trim and adds such features as high beam assist, active lane assist, collision avoidance assist, and adaptive cruise control. 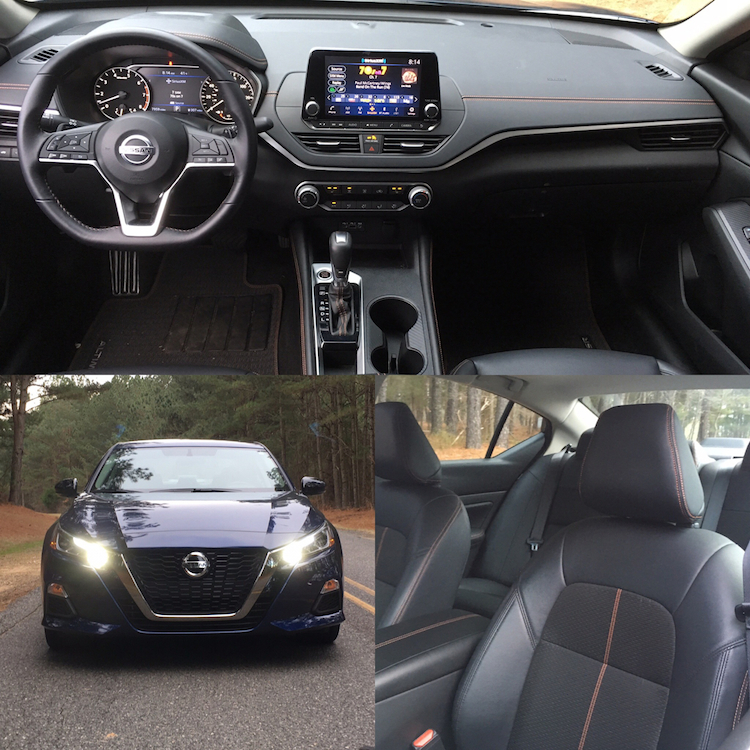 The available all-wheel steering shows up on the top trim’s Adaptive Chassis Package. As for infotainment and technology, the Audi Q7 has a 10-speaker audio system with a CD player and MP3 playback capability. You’ll also find Apple CarPlay and Google Android Auto smartphone compatibility, two USB ports, and navigation. Upgrades include a 19-speaker Bose audio system or a Bang & Olufsen 3D Advanced Sound System. Other available features include wireless charging and a head-up display. Audi offers a pair of gasoline engine choices to motivate the Q7. All models come with a standard turbocharged 2.0-liter four-cylinder engine with 248 horsepower and 273 pound-feet of torque. Upgrading to the supercharged 3.0-liter V6 delivers 325 horsepower and 329 pound-feet of torque. 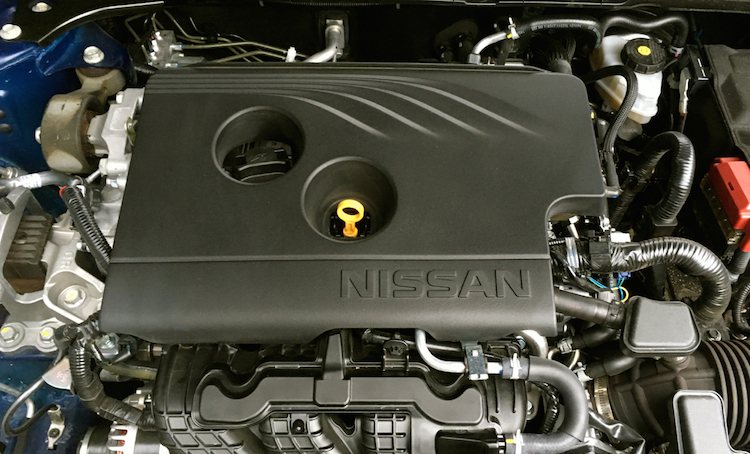 Both engines send power to all four wheels by means of an 8-speed automatic transmission. 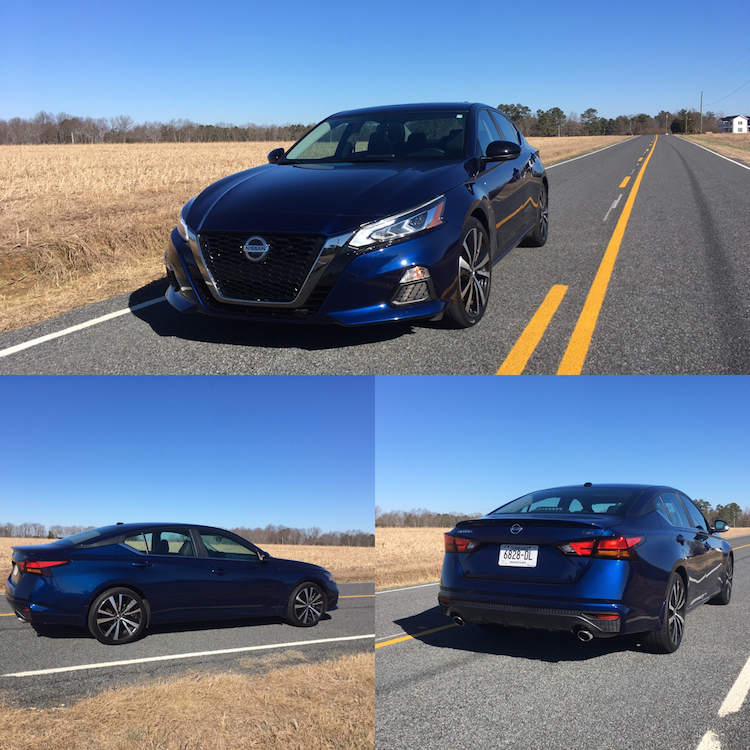 Step-off acceleration is good with the base engine and great with the V6. The turbos kick in with very little acceleration, while the supercharger bangs out power from the onset. On the open road, the gap between the two engine choices closes as the turbo delivers generous wide-open power. Regardless of engine choice, the Q7 supplies agile steering, confident handling, and a comfortable ride. The standard all-wheel-drive system supplies a strong edge here and works best in Dynamic mode where faster reflexes and superior roll control is at work. The transmission does its part by serving up the right gear for the moment. In any case, Audi’s system delivers 40 percent of its power to the front wheels and 60 percent to the rear wheels under standard conditions. When the “quattro” all-wheel-drive system detects changes in grip, as much as 70 percent of the power shifts to the front wheels or up to 85 percent to the rear wheels. Don’t immediately dismiss the turbocharged four-cylinder engine if you’re considering the Q7. We’ve driven with it in a variety of applications, including in the A6 sedan. This engine offers more than adequate power and should perform likewise in the Q7. That said, if you routinely carry a full contingent of passengers and related gear, then upgrading to the supercharged V6 is certainly an option. A $6,400 cost increase at that. Regardless, we think the base model is a fine place to begin your search. Upgrades to consider include Convenience ($850), Cold Weather ($750), and Towing ($650) packages, bringing your final price to $63,195.